Loretta Kilby wasn’t following a childhood dream when she decided to attend nursing school at Delaware Tech – in fact, she was following her husband at the time. He told her that he wanted to go into nursing, but would only do it if she joined him, so she did just that. After graduating in 1977 at the age of 44, she went on to enjoy a 15-year career in nursing, working on the medical-surgical unit and the psychiatric unit. Kilby says the program was challenging but self-paced, meaning that outside of clinicals, students were able to work at their own pace to master skills and theories. 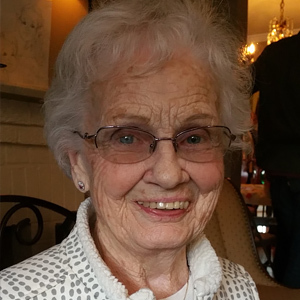 She has positive memories of her time at Delaware Tech and the connections she made. “I went because my husband asked me to, but it made me independent,” said Kilby. With seven children to support that independence was crucial to building a successful life. Today Kilby is happily retired and is enjoying watching one of her granddaughters follow in her footsteps and attend nursing school.